Much scholarly work seeking to explain the EU–NATO relationship emphasises conflicting national or institutional interests, strategic individuals, and operational inefficiencies and overlaps. 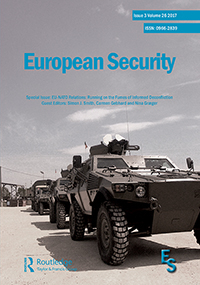 This article offers an alternative account of how both the everyday and the extraordinary in EU–NATO security cooperation can be identified and analysed by applying practice theory. Despite the “Cyprus issue”, which has left EU–NATO cooperation under Berlin Plus in political stalemate, regular interaction involving civilian and military EU and NATO staff at all levels and various sites has increased over the past decade. 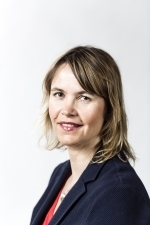 The article shows how a practice take is well suited to uncover the practical logic at work in these, predominantly informal EU–NATO encounters; how practices are established, enacted, and also abrupted. Furthermore, it discusses how shared “background conditions” – skills and experience – facilitate practices, learning, and community-building but also competition and rivalry.